Although the article was discredited even by it's own author, I thought it was still a very interesting attempt to quantify the world's carrying capacity of human beings by energy consumption. I found it quite flawed even before the author turned on it (which was a very refreshing act of true intellectual integrity). In the end he was trying something which is more or less impossible for a single person (or even many people) to do. Much like a perfect climate model, the factors are far too numerous to take on. However, it doesn't stop the paper from presenting a lot of interesting data in one place, and making some very scary conclusions. 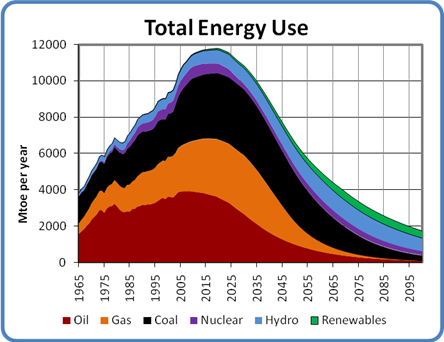 Personally I think the market forces will prove more efficient in solving the energy crisis than anyone ever imagined. Whether we can stop global warming is another story, but there are just too many possibilities for how to get energy for some alternatives to take hold and be successful. I'm personally rooting for fusion and solar to save the day. Ethanol is for suckers.